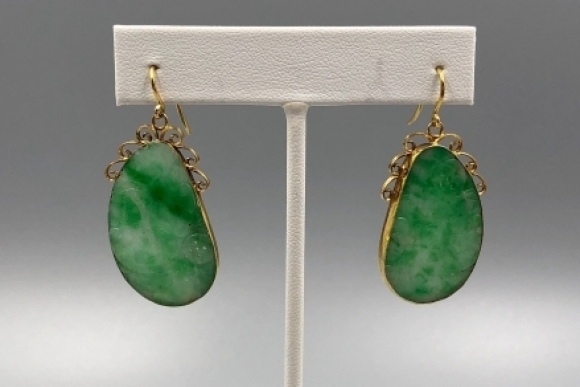 A pair of beautiful vintage carved jade earrings in 18K yellow gold. 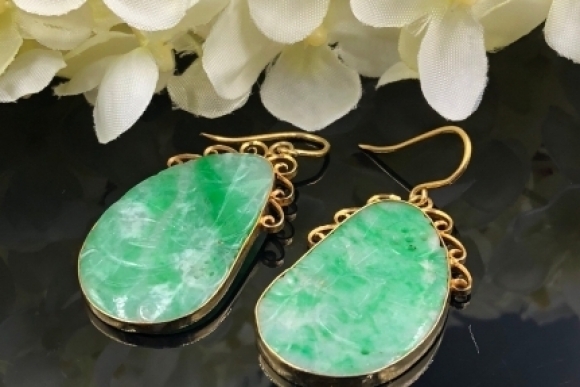 The teardrop natural jade dangles have been hand carved and pierced with a bird and flower design. 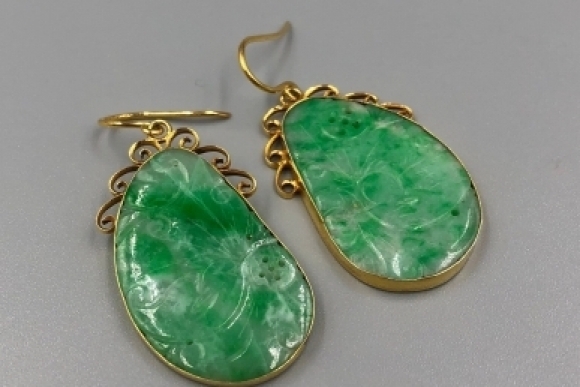 The mottled green jade is often called moss in snow. 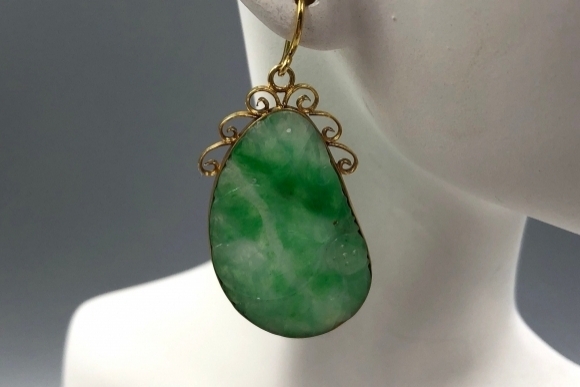 The jade is bezel set in 18K yellow gold with a beautiful scroll ornament on shepherd hook wires for pierced ears. The earrings are unstamped. 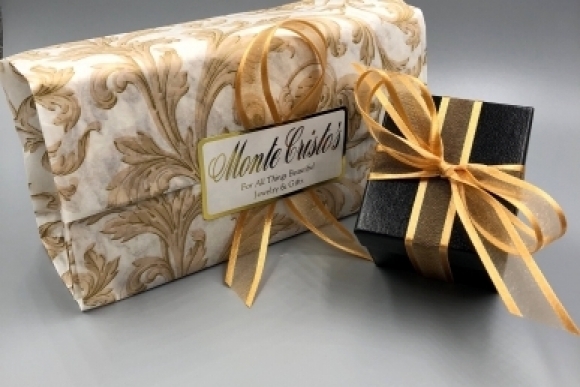 Karat fineness was determined through acid testing. 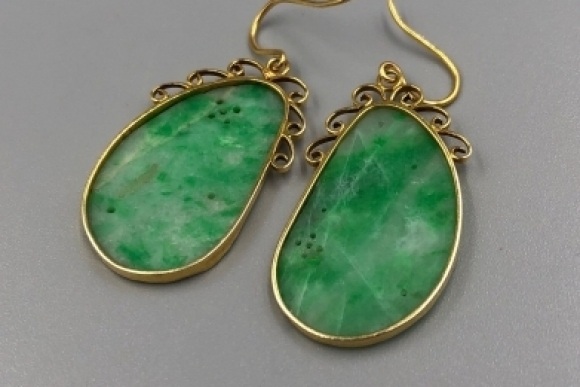 These jade butterfly wing stones were originally used as button on traditional Chinese clothing, and are antique. 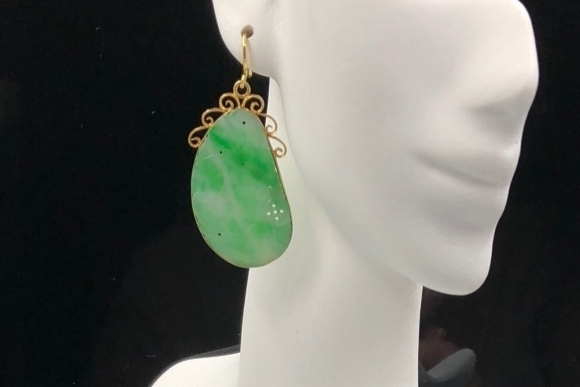 They were set in custom made earrings in the mid 20th century. 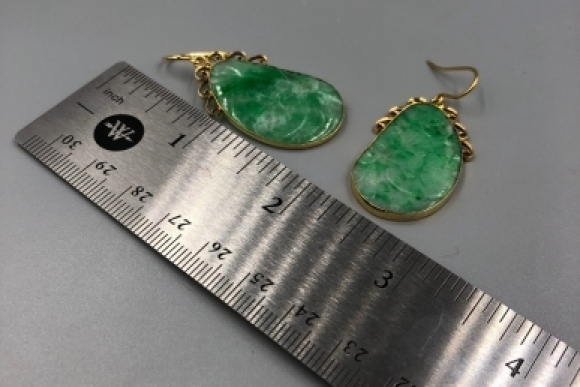 The jade measures 1 1/4" x 7/8" x 1.5mm - 1.7mm. 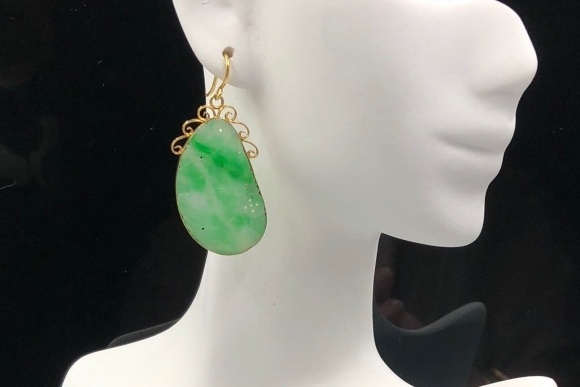 The dangles drop 1 3/4". Very good condition. The jade shows some internal stress lines that do not reach the front of the jade. 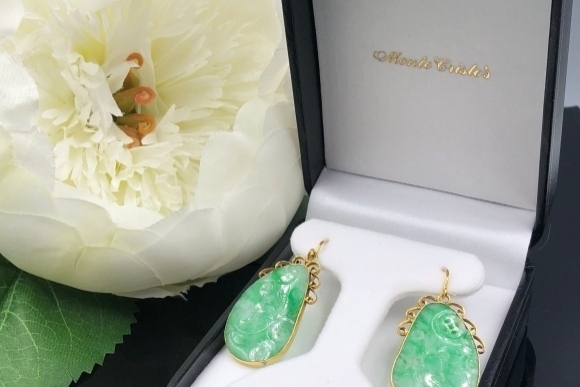 This is not uncommon for carved jade of this thickness.